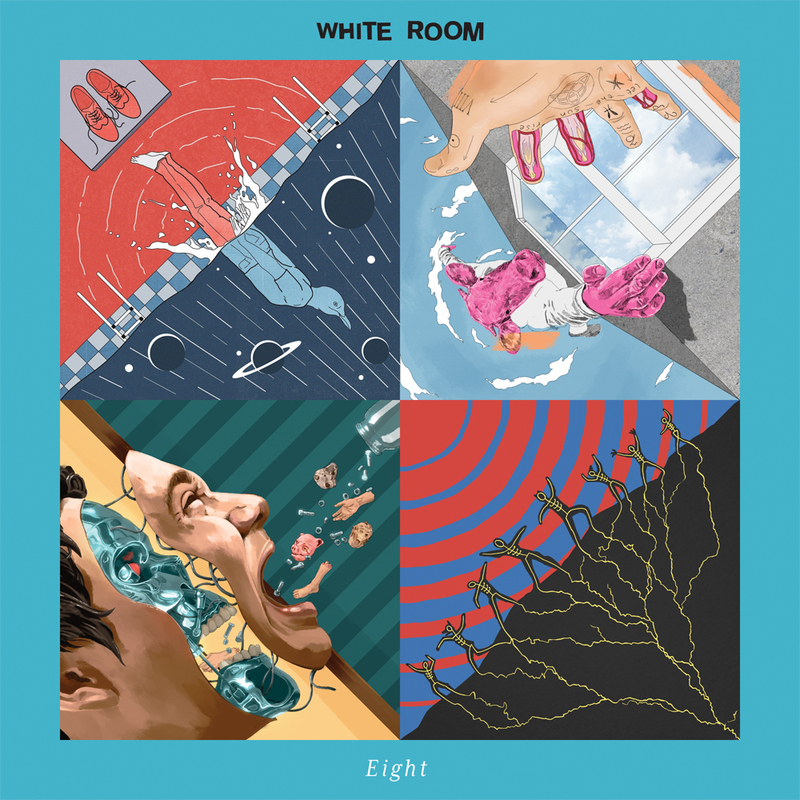 Enigmatic, Brighton-bred, five-piece White Room release their double EP "Eight", a conceptual creation which intertwines through its lyrical and sonic themes. Guitars gleam and choruses glide, wedding the transcendental nous of quirky, genre-bending bands such as Talking Heads and The Brian Jonestown Massacre to the heady, insouciant appeal of Primal Scream. "Eight" was made for now and the current state of affairs that besiege our youth,whilst offering up the chance to escape from them for a moment and embrace all that is still intrinsically beautiful in the world. It’s made for dancing around without a care in the world or for sitting down, headphones in, looking for a new perspective. Either way, it will make you feel something.